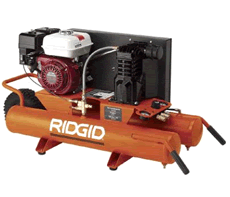 Portable Air Compressor maintenance is a very important part of keeping it in good working form. Portable air compressors have a number of product features and moving parts that require periodic preventive maintenance. Gas powered engines (if applicable) are especially vulnerable if not started during periods of inactivity. Pump, gauge, and switch should all be inspected occasionally to ensure the air compressor is working properly. If you want to protect the investment you have made in your air compressor then bring in on in to an ReadyRepair location near you for a full tune-up to keep it going strong well into the future.